HCM City (VNA) – The Senior Officials Meeting (SOM) Steering Committee on Economic and Technical Cooperation, along with several other APEC committees and groups will meet on August 25 as part of the third SOM Meeting. Their discussions will focus on internet economy, HPV and cervical cancer, trade and investment, economic and legal infrastructure. 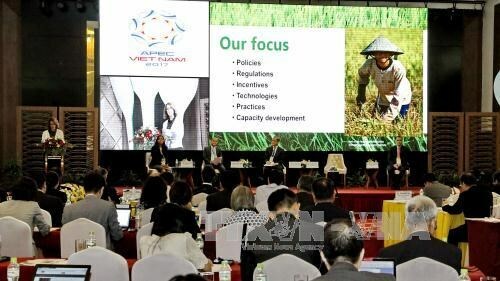 Of note, the High-Level Policy Dialogue on Enhancing Food Security and Sustainable Agriculture in Response to Climate Change will take place in the Mekong Delta city of Can Tho the same day. Later on the day, a press conference will be held to announce results of the APEC 2017 Food Security Week and the High-Level Policy Dialogue, focusing on three important documents.